this is something new for me, making a knife. 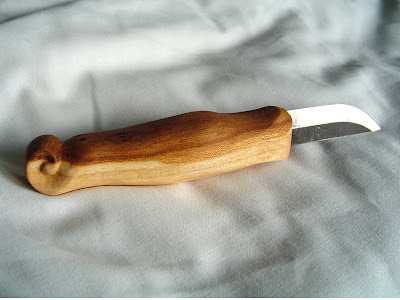 I never done this before.It was during a short course that I learnt to make this very cute little knife. 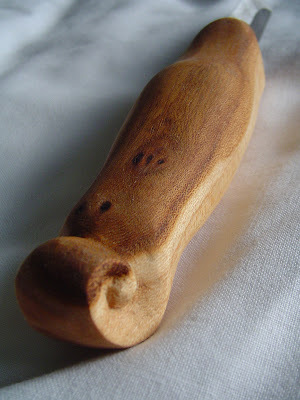 I carved the handle by hand, and I must say I liked doing it! Maybe I'll carve my own superknife set when I retire :P.
Beautiful piece. I once hand carved a letter opener in college and I've always meant to carve again. Your knife might be the inspiration that gets me back to it. Thank you for sharing your lovely pieces.